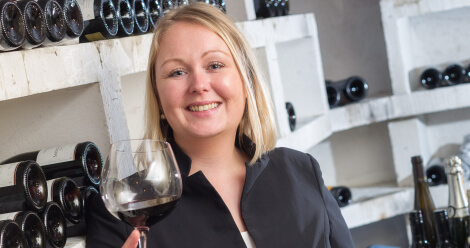 Maïtre d’ Debbie Küpers was nominated for the Most Talented Sommelier of the Year award by Gault Millau! 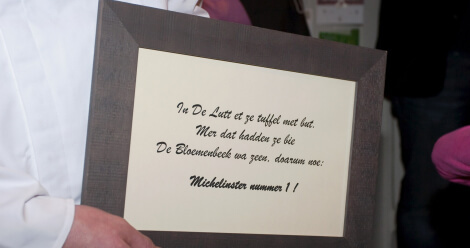 De Bloemenbeek has a fine dining restaurant, which has been awarded one Michelin star. The restaurant has an unmistakable country atmosphere with excellent options for a professionally served lunch or a stylish dinner. Naturally, you can expect outstanding and attentive service. 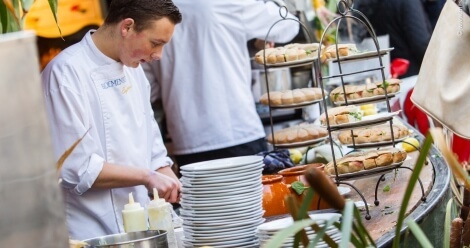 In summer, you can enjoy delightful dishes in the leafy garden with its appealing terraces and magnificent views of the scenic Twente countryside. 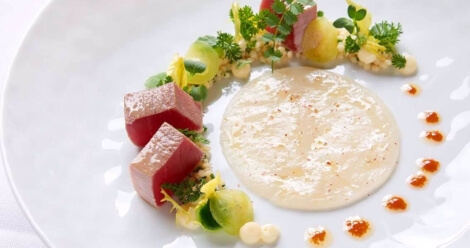 Our restaurant serves classic French-Mediterranean cuisine, using the best ingredients and products sourced from the fertile Twente countryside where possible. We use herbs from our own garden and superb game from our own hunters. Delectable wines from across the whole world complement our dishes. We now also serve our own “Cuvee Bloemenbeek”, produced in collaboration with wine estate De Hakenberg, located on the push moraine.